Stay in the attention of specialists for a whole year! 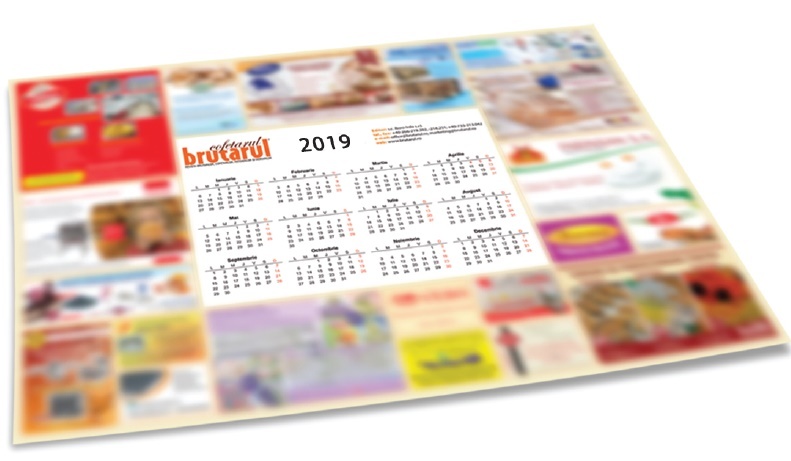 Promote your business on BRUTARUL-COFETARUL 2019 WALL CALENDAR! The Brutarul-Cofetarul Wall Calendar is a traditional communication tool aiming the readers of the magazine who receive the calendar for free together with the December issue of the magazine. 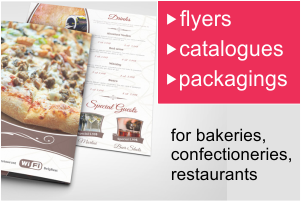 The poster-type calendar will include advertising spaces for suppliers of the bakery, pastry and confectionery market. Your advertisement on the Brutarul-Cofetarul Wall Calendar will arrive in the bakeries, pastry shops, confectioneries, ice-cream and gelato shops and mills across Romania, where it will stay in the attention of specialists throughout the year 2019. Moreover, in December, the digital edition of the calendar – with an active link each advertiser’s website – will be sent via a newsletter dedicated to a database of over 20,000 recipients.